The events leading up to our meeting with Liz, our wonderful friend and healer… thank you Liz! My beautiful boxer, Woody, has always been exceptionally fit and healthy, lively and full of beans as Boxers are reknowned! Last Christmas he began to favour one leg when standing and on a couple of occasions was unable to clear a fence that he usually flew over. We rested him and after a few weeks sought veterinary advice. They suspected knee problems and offered an anti-inflammatory medication, advising more rest. Which we did. In March 2004 we were referred to a consultant who told us that the anterior cruciate ligament was ruptured and that our best option was a Tibial Plateau Levelling Osteotomy (major intrusive surgery). Amongst some other emotional issues in our home, this was most disturbing news and after much deliberation and seeking further advice we decided to go ahead with the operation. The op was successful and Woody recovered well, following all the advice that had been offered. During his rehabilitation we noticed that he began to “hang back” on walks and was less and less interested/able in chasing ducks, crows, rabbits and all his favourite friends who frequent the woods and lakes we used to wander round. On 24 July 2004 when on a slow walk up a steep hill, I heard a thud and rustling. I looked back and saw Woody rolling down the hill. I ran after him and caught him, he shuddered, fought for breath and became still. Sitting in the woods (therapeutically in a pile of deer poo) I held him and stroked him and talked to him…. Assuring him that I was with him and he was free….. After what felt like an age (but was probably only moments) he opened his eyes and stared straight ahead. I continued to talk to him and he slowly pushed up onto his elbows….. eventually standing and panting, we then made our way home, stopping frequently to rest. Because I had not seen Woody fall, I assumed that his leg and back had given way and that he was in shock ….. when I think back now, the signs were different. On 20 August 2004, Woody collapsed again, this time on a much shorter walk and a much less steep hill, plus he was on the lead so I saw and felt the whole thing this time. A similar pattern occurred though the resulting lethargy lasted over the weekend and by Monday I felt he should see his vet. After a short assessment Julia (the vet) said she thought Woody was ill with a heart condition, that he should go immediately to the Queen Mother Royal Vet Hospital in Potters Bar and that there was a strong possibility he may not make the journey. Totally stunned by the news, we followed the advice offered. Woody remained in hospital for two nights for investigation and came home with an ECG machine strapped to his chest for 24hr monitoring and a cocktail of medications. The diagnosis was substantial and serious. With Woody stable now and having a good understanding of his condition and that there was no surgery that could be done and, I started to actively seek complementary help to support him in dealing with the trauma and medications. My first port of call was Jenny the osteopath who had been treating Woody in between the collapses. She worked on him with me several times and he was always very uplifted after these treatments.Secondly I sought advice from a vet in Wiltshire (Roger) who works with natural healing remedies, homeopathy and supports a raw meat and bones diet. These interventions were started immediately….. much to Woody’s amazement at the ripe old age of 8, being offered real raw bones to gnaw! I still felt there was something missing though. Then at the Mind Body Spirit show in Brighton as a friend and I walked through the entrance towards the first stand, I noticed a stand of drums to which I was immediately drawn (already having 3 in my home that I play with!). Moving around the show there were loads of interesting things going on, but nothing that really caught my eye. Then I heard wonderful music and saw people dancing to a wonderful beating drum with a backdrop of rainbow colours. That’s when I saw Liz. Looking around at her stand nearby I noticed the words Chakra Dancing and started to look through the cd’s and leaflets that were on offer. Then I noticed a picture of Liz with a Boxer on the screen behind the stand. That was it really, I knew I had found what I was looking for. I gathered the information and headed off home to send an email to ask Liz if she could help. We made an appointment for Woody one evening later that week and Liz asked me to bring all the foods Woody eats, his medications, potions, lotions and all.Here’s how the session went: Straight away Woody was at home in Liz’s consultation room. He was incredibly inquisitive and I could see the connection between the two of them immediately. Liz and I chatted through some of the background medical and emotional stuff and then she began the process of asking Woody to self select the indigenous plant materials that he needed. It was such fun to watch and be a part of. Almost like a stage! Some he couldn’t get down quick enough, others his little nose turned up at, yet others he sniffed a while and then turned away…. Yet others he was adamant he was going to have. So beautiful to see my little dog so interested in life again.Then Liz did a little ritual whereby we checked that it was ok to test my muscles (kinesiology) as a surrogate for Woody. Methodically we checked all the items Woody had selected, all his food (some of which tested negative for him) and all his medication (most of which tested positive ie they are doing him good). The final part of the session was the grand finale…. A beautiful healing whereby the three of us grounded and connected in a wonderful space for the highest good of Woody. Liz talked us through some of it and at other times she remained silent to focus on her work with Woody. He settled and peaceful, occasionally shifting himself into a better position for Liz to work with. We finished with a colourful meditation and gave thanks to the Universe. The following week I picked up Woody’s organic remedies from Liz, these work alongside everything else and now he and I have an (almost) daily ritual of working through the oils and powders, most often finishing with a healing that follow Liz’s guidelines and have worked miracles. Wolf berries, calendula and thistle remain his favourites…. and if I’m lucky I get a Wolfberry too! TODAY, 14 NOVEMBER 2004 – Woody is like a two year old again, his fur has grown back around his hips, his skin has lightened and he is full of beans again…… interested in life ….and Wolfberries. Everyone says how much better he looks and seems – he’s holding his head up high again and has all four paws firmly on the ground and strong with his weight evenly spread. Hello – my name is Julia and I would like to share the story of our cat Cleo and tell you about the synchronicities of meeting Liz and our good fortune of experiencing her wonderful healing work. Cleo is now a 15 year very fluffy long haired tortoise shell cat! We felt very lucky to ‘find’ her (and our other cat, Tabby) in the Rescue Centre in Stubbington, Hampshire, called ‘The Arc’, just over 2 years ago. Cleo is a very wise, gentle and loving cat. When we found her she at the Rescue Centre she was not very well at all. She had had an operation to remove one of her eyes and despite the wonderful care of the Rescue Centre – she now desperately needed a loving home where she could be nurtured back to full health. She instantly became one of the family and all was going really well until a few months ago. My husband and I noticed a few changes in Cleo’s behaviour – she was a little unsettled, she was unusually feisty, her appetite really increased and she was being occasionally sick. We of course took her to the vet. We are lucky enough to have a dedicated ‘Cat Clinic’ here is Southsea, Hampshire – run by very caring and special people. The vet told us that Cleo had a suspected over – active thyroid. In addition to the symptoms above, hyper-thyriodism also presents itself by an increase in blood pressure, an increase in heart rate and a general tendancy to loose weight (i.e. even though the appetite increases.) The vet did blood tests and checks and indeed an over-active thyroid was confirmed. Despite great care from the Cat Clinic Cleo seemed to be getting worse .Over a relatively short space of time – she started being sick much more regularly and eventually stopped eating all together. We tried every food we could think of . 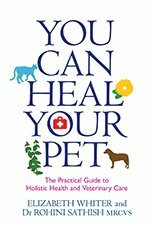 She suddenly became very lethargic and on the morning she went into the Cat Clinic for rehydration – I knew I had to look for a Comlimentary form of treatment. This is when a number of wonderful synchronicities started to reveal the next step. I am practitioner in Comlimentary Therapies myself – but my client base to date has been mainly human! I have, in the past, treated both of our cats and they have responded really well but Cleo for the past couple of weeks had instantly got up and walked away if I tried to work on her. A few weeks earlier – I had been invited by couple of work colleagues to the Mind, Body and Soul Festival in Brighton. At the time I was undecided whether to go or not and on the w/e it came about – ie the w/e before Cleo went into the vets for rehydration – I was wondering if I should leave her alone for the day. Anyway I had a strong gut reaction to go to the Festival and I am very glad (for Cleo’s and my sake) that I did!! During the day we had the pleasure of attending a talk and demonstration by Liz on pet/animal healing. It was a very loving and moving experience – a dog that had a long suffering physical ailment relating to a particular trauma – received much relief. 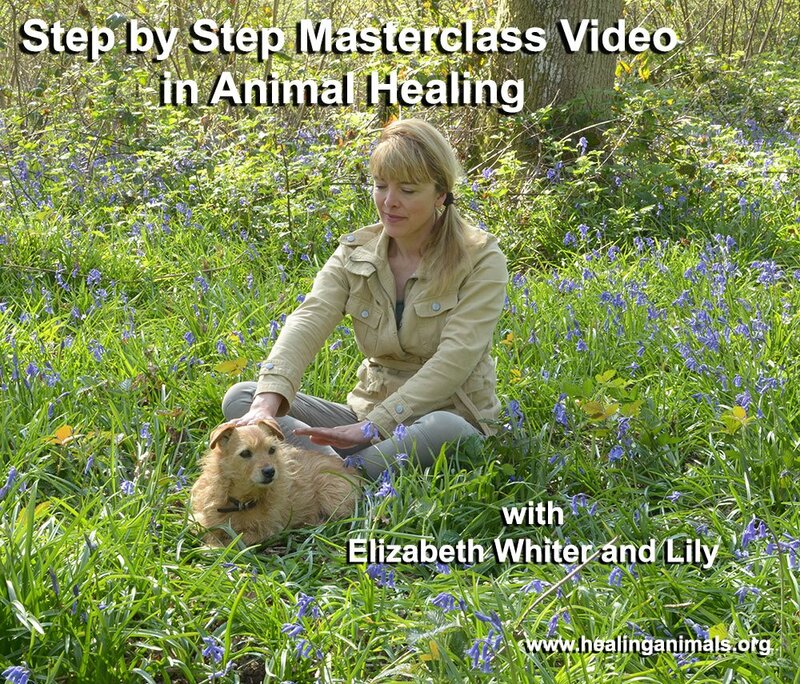 Liz talked us through her gentle and very special ways of tuning into animals – opening our hearts to them and allowing the healing to flow. I was very aware of the wonderful healing energy that engulfed the whole room!Later on that afternoon I had the further pleasure of meeting Liz face to face – her energetic vibrancy came shining through and I began to further realise what a talented lady she is. Liz is also greatly involved in creating and teaching music and dance and also in the use and teaching of Applied Kinesiology incorpotating Nutrition for animals and humans. I spoke to Liz briefly about Cleo and gladly accepted one of her business cards. A couple of days after the show – when I was picking up Cleo form the vet after her rehydration – the vet me told that in Cleo’s current state an operation on her thyroid was advised as soon as possible if she were to have a reasonable chance of survival. However – because she had been so sick and therefore unable to keep the tablets down – the operation would be very high risk due to Cleo’s blood pressure and heart rate being very high – and of course due to her senior years! I felt desperate – desperate at the thought of losing this wonderful loving fluffy creature who had come into our lives 2 years earlier and desperate that I personally couldn’t do any more on a personal healing level – (I suppose I was just too close to the situation). Then I thought – I HAVE to phone Liz – to see if there was anything she could do and if she could fit us into her very busy clinics. After calming me over the phone, Liz generously made time to see us. So Cleo, my husband and myself made the trip to Brighton the very next evening. I told the Cat Clinic about Liz and her healing work and our choice to take Cleo to see her. They are very open to Complimentary Therapies running alongside the Western Medical approach and very much gave us their blessing. So we arrived at Liz’s home – it has a wonderful atmosphere. We went up to the treatment room and let Cleo out of her travelling box. Cleo was allowed to wander freely in this space and given time to get to know it. Liz very gently and lovingly got to know Cleo – gradually tuning in to her. Cleo jumped up onto my knee and then eventually sat curled up inside my scarf that my husband has laid down between his feet – it is there she stayed for the main part of the healing. Liz was very drawn to work on Cleo’s head, neck and throat area. Liz can sense things from the animals and she sensed from Cleo that she would be able to eat if we gave her pilchards!! Liz also sensed that Cleo’s thyroid problems might have started when she had her eye operation – the neural connection to the pituitary was now not functioning, as it should. At the end of the treatment Cleo was very calm – as were my husband and I – we had all benefited greatly from the healing energies Liz had created in the whole room. Next Liz opened some boxes full of wonderful foods and herbs and oils – and conscientiously worked through lots of bags and jars offering them to Cleo one at a time to see which she naturally selected for herself. We came away with the main hits of organic carrots, smoked salmon, sardines, rose oil to burn in an oil burner and garlic for Cleo’s teeth – in addition of course to the all important pilchards! After suitable thanks on out part we left with a contented Cleo for our journey back to Southsea. During the car journey home Cleo let out 3 big meows something that she had never done before. We went via a 24hr supermarket and when we got home Cleo ate something for the first time in days!!!!!!!!!!!!!!!!!!! The relief was immense! Over the next few days we hand fed her little bit by little bit and I carried out further treatments on her following Liz’s guidelines. Gradually Cleo started feeding for herself and is now eating very well and also taking the tablets from the vets. There is still the option of her having the operation so that she does not need to have tablets for the rest of her life, but the risk and the urgency of the operation are now greatly reduced and who knows what might be possible with further healing………. So, to Liz – we are SO grateful to you – for being who you are and for your wonderful healing gifts and here’s to synchronicities (I have long stopped thinking that coincidences are just coincidences).We will bring Cleo back someday soon to see you and for the next stage in our wonderful journey together! THANK YOU, THANK YOU, THANK YOU! !………………and a huge puuuuuuuuuuuuuuuuuur from a very grateful, happy, contented and full tummied Cleo!!!! 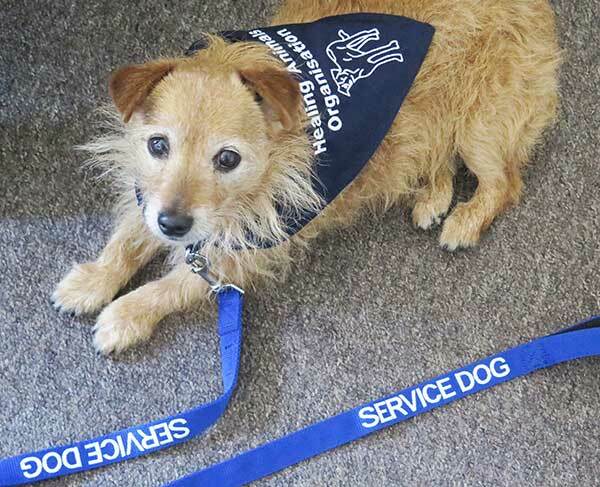 Jane and Mark lost their little dog Baggins after over 20 years together. He passed peacefully at home but will be sorely missed. They also have a 11 year old German Shepherd Cross called Oliver who will also miss his life long companion. Oliver was therefore brought to Elizabeth to see how the loss of Baggins was effecting him and to help him deal with his grief and, if he did not understand fully what has happened, to try to explain – through Liz – where Baggins is. Oliver reacted amazingly to the oils and healing and at one stage jumped up and audibly sobbed. That was the point at which Liz told him about Baggins. Liz then asked if Baggins had owned anything that was his that was red. He had been bought a red blanket which he always slept on. The blanket was still on the lounge floor at home and Oliver never slept on it as he knew which bed was his and which was Baggins’s. Liz told Oliver that Baggins had the red blanket in his mouth and was giving it to Oliver as he wanted Oliver to have it as a gift. On their return home, Oliver pushed past them to go into the lounge and lay down on the red Blanket. He has slept on it ever since. He takes his oils regularly and is a happy dog who now has a new companion, a Spanish rescue dog called Tia. Baggins will never be forgotten by Jane, Mark or Oliver but the connection that Liz made that day was remarkable and had a profound and positive effect on all of them. Lydia, Vietnamese Pot Bellied Pig. It was rather a wonderful experience how I came to visit Lydia in the first place. Usually it is the owner that approaches me. However it was Lydia that made that initial contact. I was driving to Brecon on a star lit Sunday evening to work with Caroline Ingraham. I was thinking about the forthcoming week and our field visits to some animal sanctuaries, when a visualisation of a female pink pig came into my mind. I felt sad and bereaved, and I felt very strongly that some time in the forthcoming week I would have the chance to heal a sad female pink pig. I know when I experience these visualisations, animals are calling for my help in more ways than one….. It became apparent that the animal sanctuary we were working at had no pigs. I asked the owner if she knew any body that had pigs with any emotional or physical problems. She only knew her friend Siobhan had a black pig. I knew I was looking for a pink female pig but decided to phone Siobhan anyway, as that morning in the shower at the B&B in Hay, a visualisation of a pink pig came to me again. Siobhan informed me she had two female pigs, one pink and one black. 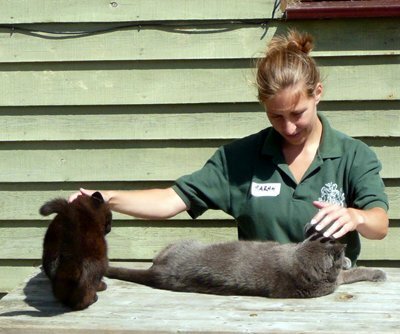 She invited me to her animal rescue centre, where she works tirelessly to help save animals. I offered Neroli (separation/loss) to Lydia, who immediately sniffed and grabbed the bottle. She took several licks from my hand and squeaked, we could all see her letting go of her anxiety and worry, and released a heavy sigh of relief as she gradually started to relax. Then I offered Rose Otto, (emotional release) she sniffed, paused, thinking very deeply, ushered me to put some on my hand. She licked my hand, but was not as keen as the Neroli. She licked some seaweed and some comfrey water and chickweed oil from my hands. She was not interested in Carrot or Benzoin. It was then appropriate to do some healing with Lydia. Both Siobhan and Jo sat very quietly, as I attuned myself, and began. Lydia became very relaxed and very quiet. She sank into her body, her muscles relaxed; her eyelids became heavy as she snored peacefully. She drew closer to me and felt very at home with me healing her. When I had finished healing, Lydia walked over to Siobhan, and immediately it felt like they were reunited with each other. Siobhan told me she was thrilled that Lydia wanted to rekindle that very special bond they share. We then visited Biddy, who on the surface appeared to be very robust and bossy and reminded me of Hattie Jakes, as matron, from The Carry On films. She lives separately from Lydia, in a lovely sty at the other end of the farm. Siobhan informed me she is very self-contained, quite irritable and moody and prone to being a little unpredictable. She will trash Lydia’s home and argue with her. She is 13yrs old, had meningitis badly and recovered. I offered Biddy Neroli and Rose Otto. She showed a little interest, but not enough to put on my hand. She said no to Yarrow, Garlic, and Chickweed. She showed a little interest in Melissa. As soon as I offered her my Vanilla pod steeped in sunflower oil, Biddy grabbed the bottle and demanded some. Vanilla is marvellous at balancing the hormones, and irritability. Biddy also wanted to lick some nutmeg. I had recently been to Grenada where the nutmeg grows and is harvested and bought some pure nutmeg oil. One of its many properties is to mimic the female hormone oestrogen, and an ant-inflammatory as Biddy is now 13yrs old. I returned the next day to make up the oils to find a wonderful sight. Lydia and Biddy were outside together in separate sties, although there was a small wall dividing them, they are able to sniff each other, snout to snout, and appeared to be really happy. In Siobhan’s kitchen I meet Jake the rat who had been rescued by Siobhan. He had been very badly abused. Old cigarette burns were evident on his body. He lived on his own in a cage. Jake went mad for Rose Otto (past trauma) I have never seen an animal become so obsessed with an essential oil. He grabbed the bottle and tried to gnaw the bottle. I put only two drops on to a dish. He licked it clean and came towards me for more. I placed the bottle outside of the cage. He inhaled deeply, relaxed and he moved closer to the side of the cage and made himself comfortable near to my hands and healing began. Siobhan phoned me four weeks later to update me. Lydia and Biddy are still very content and Biddy is friendlier with Siobhan. Jake’s coat is full and glossy. Thanks to Lydia, The International Society Of Animal Aromatics Practitioners have another rescue centre to work with. As I watched you yesterday working with Willow “the wonder dog”, I truly believe I watched a master at work, I can not wait until the next work shop and to see you and all of your wonderful animals again. A huge thank you to all of you and a big special kiss from me to Dancer, thank you for opening our eyes and showing us a brief chapter in to what we hope will become a huge part of our lives. Elizabeth’s fascinating healing powers and enthusiasm with the horses, dogs and participants on the workshop completely reenergized me. I came out of the workshop full of the joys of spring. I really enjoyed the workshop and it has given me a lot to think about. I helped a vet put a very old animal to sleep today and I hope I managed the positive thinking and healing to send him on his journey. Workshop excellent. Lovely venue – it was wonderful to be in the company of such nice people and animals.